Most moe Winter 2017 anime? 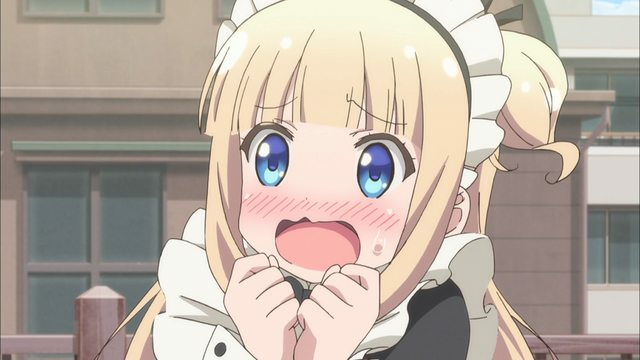 Most moe Spring 2017 anime? 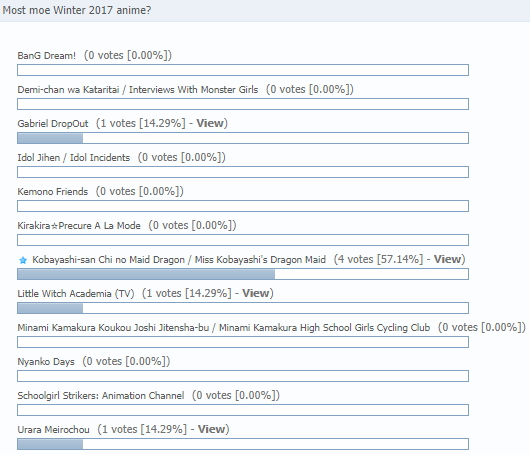 I'll leave the anime of the year type of polling thing to the pros. It will be 5 polls in 3 parts instead of one from now one so as not to limit it as much. 4 at first and then one at a later date (not specified) combining options voted for the most. What I want to vote for isn't listed! Don't fret, just know that I cannot reads minds to know what other people think is moeshit, so here we are. Posts count as votes if you say an anime that isn't listed. I removed the "Other" option so we don't get a bunch of votes for that with barely any of those votes having posts to go with them (this hasn't happened before, but it's better to be safe than to be sorry). Also, I don't think I'll be adding any more options just because of having to count votes for those differently. Differently because if their vote is an option, I'm pri sure everyone that posts will vote, but if it's added later, no way of knowing that for sure. I'll keep note of what gets voted for in posts, then count those votes at the later date. Not counting anime that had only one vote. 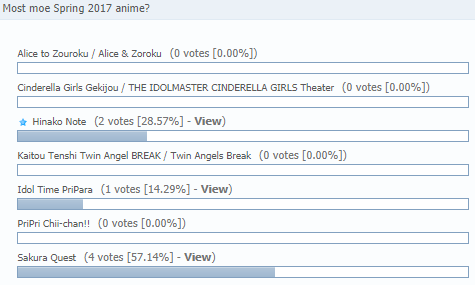 I think Shirobako (2014) had at least two votes, but I can't be sure because only one post confirmed it was voted for (and that was before I added it as an option). Only one more mentioned what they chose "Other" for (that means I didn't know what the other 3/5 votes were for), which was Tonari no Seki-kun. 1st - Is the order a rabbit?? 2nd - Cute High Earth Defense Club LOVE! 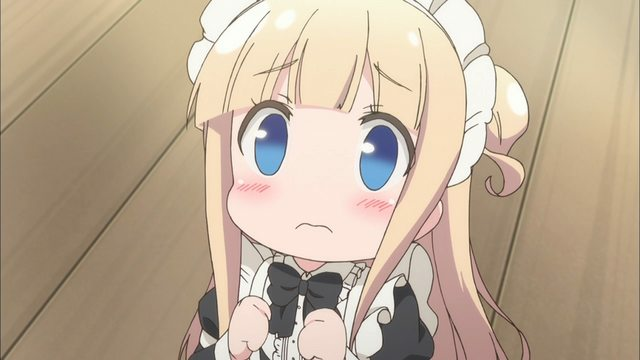 For Winter, Kobayashi-san Chi no Maid Dragon. 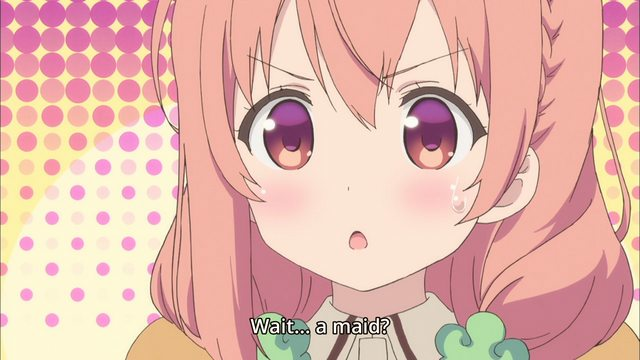 For Spring, although I have not finished it, Hinako Note.